I got this a few weeks ago on auction. It has some non original parts, but it looks like it might be correctible. Anyone familiar with this barrel nomeclature? Beautiful, congrats on you acquisition. That is a post-WW2 USGI replacement barrel. At some point (I don't recall exactly when) the government started issuing FSN (Federal Stock Number) for replacement parts. 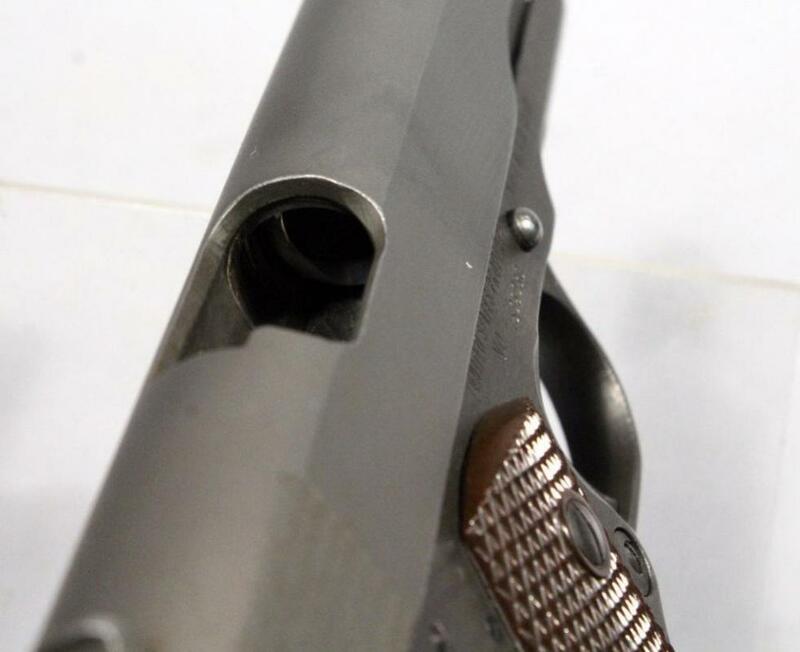 1911 barrels were given the FSN of 7791193. 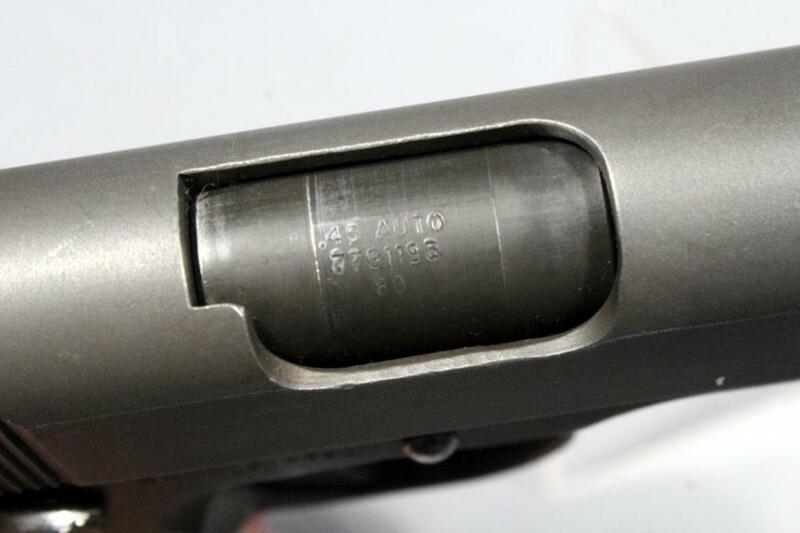 The photo is a bit blurry but that looks to me like what is stamped on the barrel. A 2-letter code is usually on the barrel to identify the manufacturer. 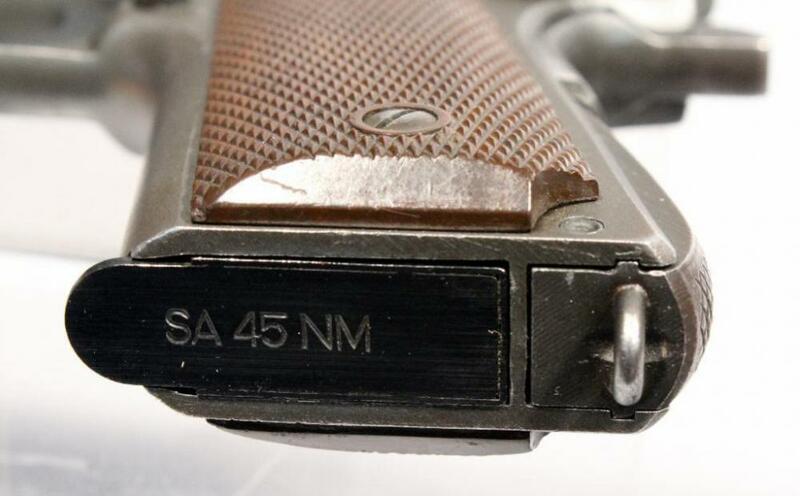 I have a VietNam era replacement barrel made by Smith & Wesson (with a SW code) and it's chrome-lined to boot. 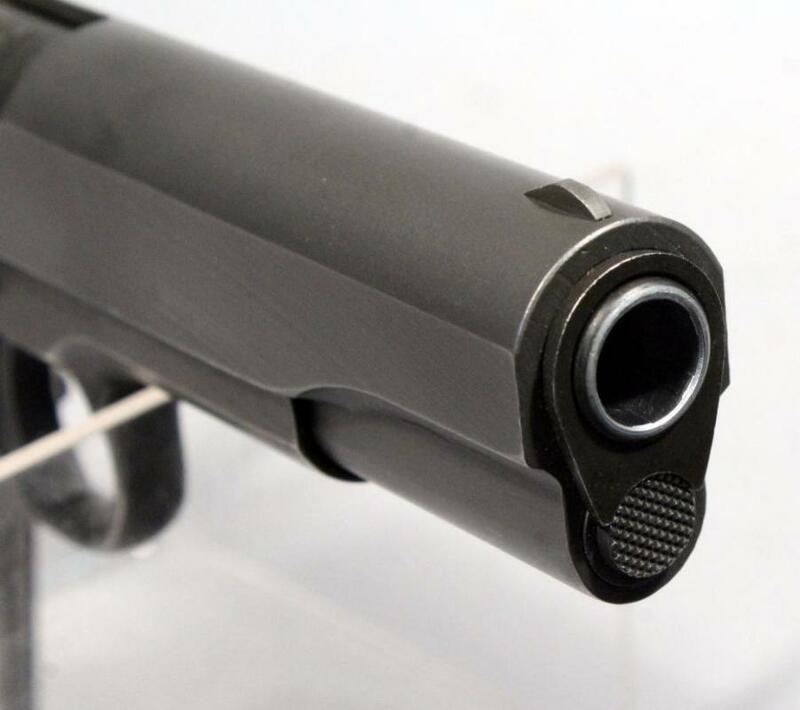 To get a "correct" barrel you need either a High Standard barrel, marked HS on the barrel lug, or a Flannery barrel with a F mark on the lug. Flannery normally made field replacement barrels but some 1944 & 1945 RR's were issued with Flannery barrels when High Standard production flagged. HS was making barrels for RR, Ithaca, and US&S at the time so they were running fast and furious to keep up with demand. Original USGI HS barrels will usually be easier to find than Flannery barrels. Nice pistol, BTW. S/N dates it to early 1944, but you probably already knew that. Does the front sight look odd or is it the photo? If you click on the pictures, it enlarges them. 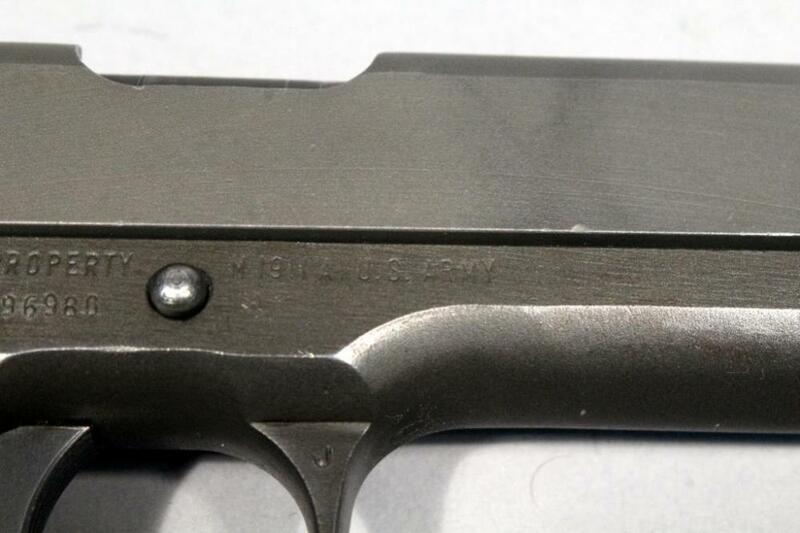 7791193 is what is stamped on the barrel. 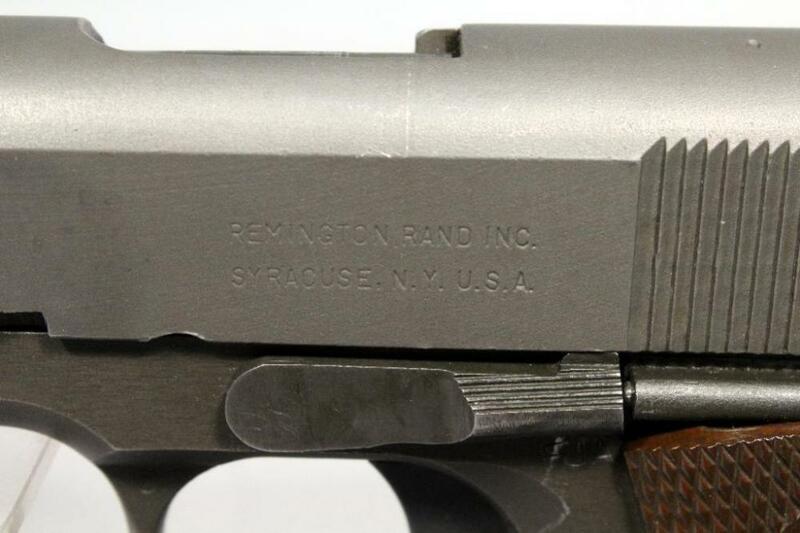 I think the auction description did mention chrome-lining on the barrel. Thanks, Pokute! 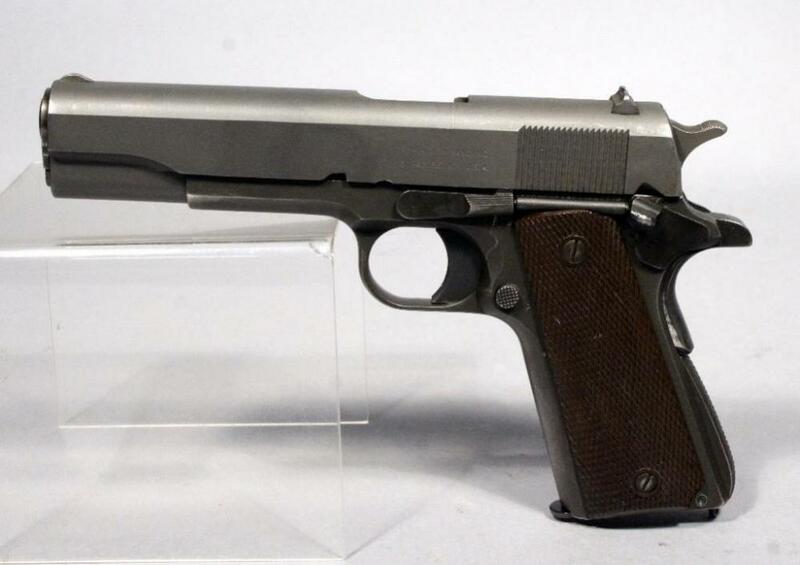 I think the auction description did mention a chrome lined barrel. I'm hunting for a decent deal on a High Standard barrel. 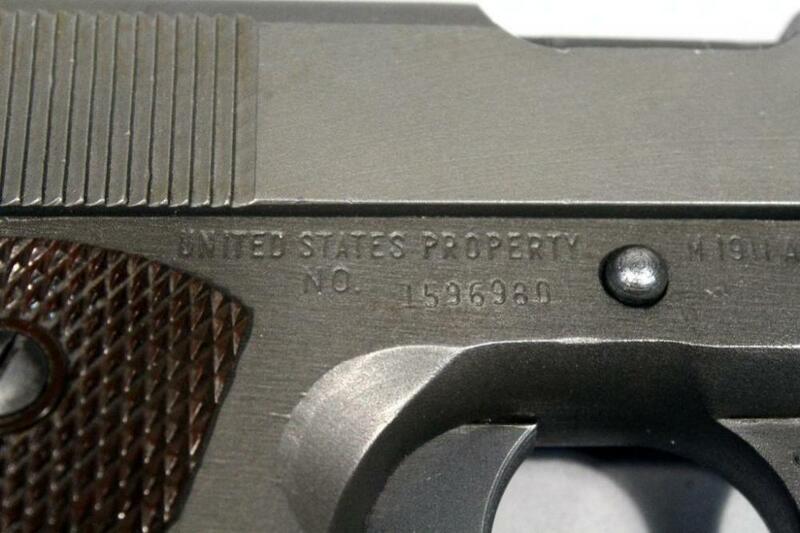 A few years ago the CMP mentioned that they planned to begin selling 1911's with an expected price of around a grand. 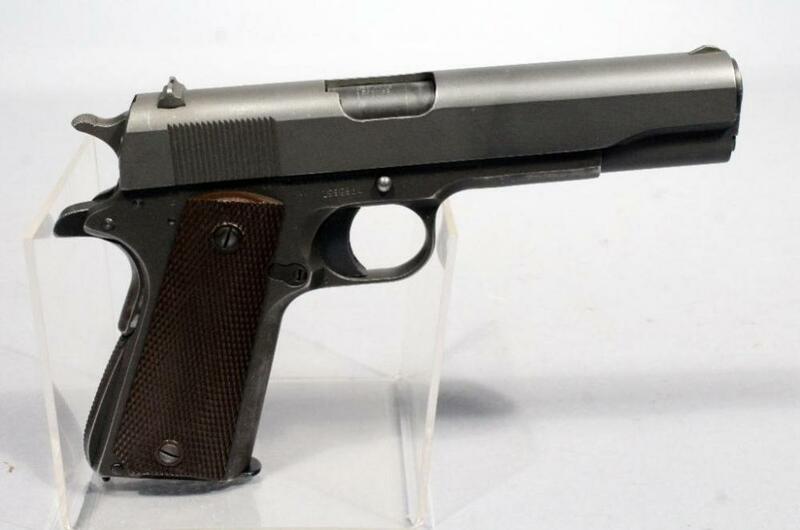 These pistols would almost certainly have been rebuilds. Apparently someone put the kibosh on these sales, but $1000 became my target price and I was able to beat it with this one...although not by much. My younger son is home this weekend and we hope to shoot this while he is here.